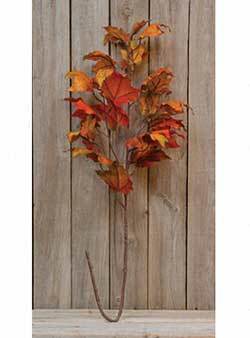 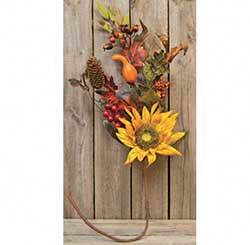 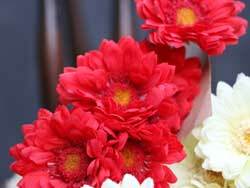 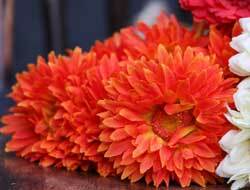 Picks, branches, sprays, faux plants and other floral accessories and decor for fall! 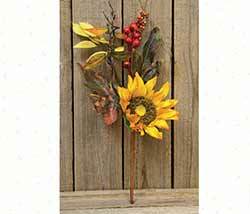 Sunflowers, pip berries, bittersweet, and more. 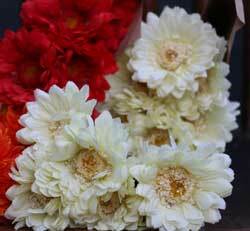 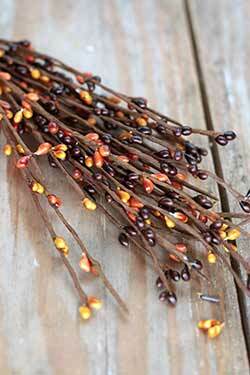 Autumn Pip Berry Pick - Create a quick and easy floral display, or add texture to your shelf decor by tucking in one of these small pip berry floral branches! 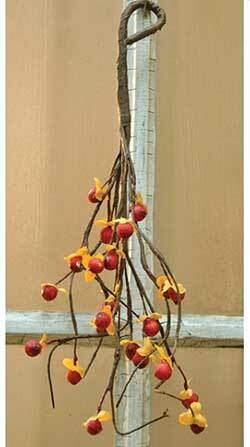 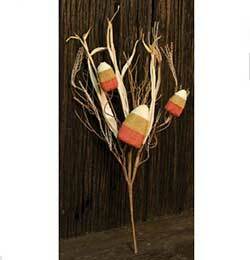 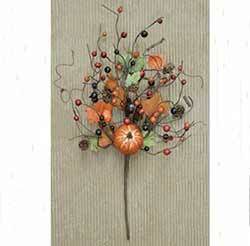 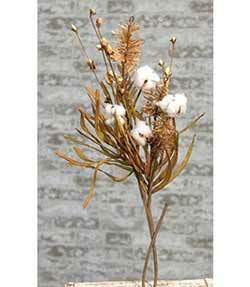 Perfect for fall or halloween decorating, this floral pick features raffia, twigs, and burlap candy corn. 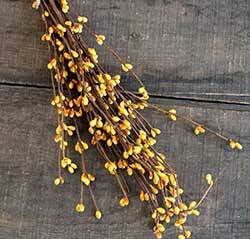 Features little resin pips in country mustard. 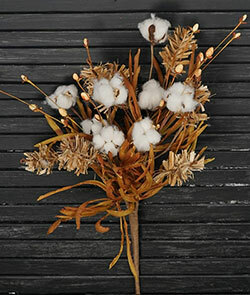 16 inches long, 35 stems comprising pick. 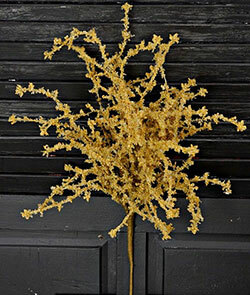 A rustic floral with muted, mustard yellow buds. 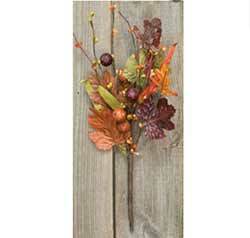 Tuck on a hutch, a shelf, or in a basket or vase for fall!